Google recently announced the integration of Google AdSense with Google Analytics for better tracking of AdSense clicks and revenues of individual pages of a web site. Google is slowly rolling out this feature to the publishers across the globe. Incase if this feature is not yet enabled on your account, don’t worry. 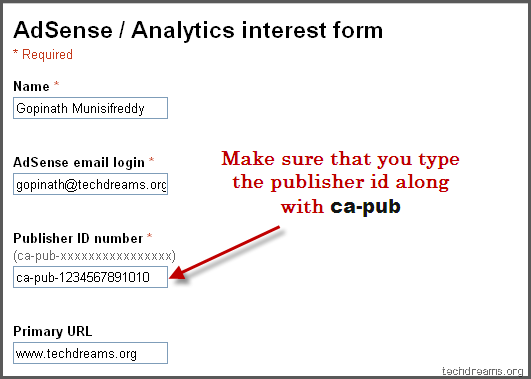 This post explains how to integrate AdSense and Analytics in 24 hours time. 3) Wait 24 hours and check your AdSense account next day. You will find a link that guides you through a step by step process to integrate the AdSense account with Analytics. « 500000 Downloads Of WordPress 2.7 In 9 Days!! Better to stick with Prosperent than adsense. Way better money. Shoot me an email for invitation code. Hi there I like your post, hope my comment will keep up your good work with your blog SPARTAN! I integrated my Google analytics with Google adsense ,why Google is taking time to roll these feature to all adsense publishers.